Pawlowski, J. W., Graham, D. H., Boccadoro, C, H., Coen, P. G., and Maglieri, D. J., “Origins and Overview of the Shaped Sonic Boom Demonstration Program,” AIAA-2005-0005, 43rd AIAA Aerospace Sciences Meeting and Exhibit, Reno, 2005. Cowart, R. and Grindle, T., “An Overview of the Gulfstream / NASA Quiet SpikeTM Flight Test Program,” AIAA-2008-0123, 46rd AIAA Aerospace Sciences Meeting and Exhibit, Reno, 2008. Yoshida, K., “Supersonic Drag Reduction Technology in the Scaled Supersonic Experimental Airplane Project by JAXA” Progress in Aerospace Sciences, Vol.45, Numbers 4-5, May-July 2009, pp.124-146. Kusunose, K., Matsushima, K., Obayashi, S., Furukawa, T., Kuratani, N., Goto, Y., Maruyama, D., Yamashita, H., and Yonezawa, M., Aerodynamic Design of Supersonic Biplane: Cutting Edge and Related Topics, The 21st Century COE Program, International COE of Flow Dynamics Lecture Series, Vol. 5, Tohoku University Press, Sendai, Japan, 2007. Hayes, W. D., and Runyan, H. L. Jr., “Sonic-Boom Propagation through a Stratified Atmosphere,” J. Acoust. Soc. Am., Vol. 51 (2), Pt. 3, Nov. 1972, pp. 695-701.
http://www.jma.go.jp/jma/kishou/know/upper/kaisetsu.html. (cited November 15, 2009). Yamashita, H., and Obayashi, S., “Global Sonic Boom Overpressure Variation under Realistic Meteorological Condition,” The Sixth International Conference on Flow Dynamics, Sendai, Japan, Nov. 2009, pp.14-15. 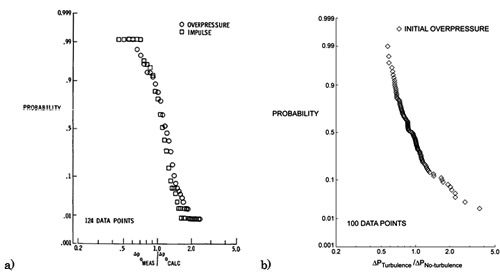 Thomas, C. L., “Extrapolation of Sonic Boom Pressure Signatures by the Waveform Parameter Method,” NASA TN D-6832, June 1972. 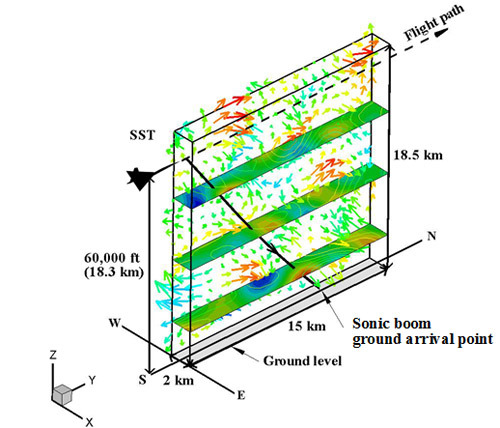 Maglieri, D. J., “Sonic Boom Flight Research - Some Effects of Airplane Operations and the Atmosphere on Sonic Boom Signatures,” NASA SP-147, Apr. 1967, pp. 25-48.